Vagner Rocha Martial Arts was founded by Master Vagner Rocha, who is regarded as one of the top Grappling and MMA competitors in South Florida and beyond. As the head instructor, Professor Rocha has competed in the most prestigious MMA promotions including the UFC, Bellator and Strikeforce. Vagner also has competed several of the regional MMA promotions in South Florida and is also widely regarded as one of the fiercest competitors on the professional grappling circuit. VRMA is well known for being a family oriented academy with the highest level of instruction. We are proud to offer some of the best child, adult and women specific programs in South Florida. Vagner Rocha was born in the Brazilian State of Rio de Janeiro and moved to the US at a young age. After visiting his family in Brazil as a teen, his older cousin showed him some Jiu Jitsu, and easily dominated him. When he returned to Florida, he began training Brazilian Jiu Jitsu under the famed Master Pablo Popovitch and showed great talent right away. He demonstrated his grappling abilities by becoming one of the best competitors in South Florida, winning the Pan American Jiu Jitsu Championship and Placing 3rd in the World Jiu Jitsu Championship as a brown belt. He is also a multiple time Champion in NAGA, Grapplers Quest and Copa America. In 2007 Pablo awarded Vagner his Black Belt and he completed his certified instructor training. Vagner began his professional MMA career in 2009 and in only his second fight he defeated Igor Gracie in the Bellator Fighting Championship. He continued with opportunities in Strikeforce and also competed and won the ADCC Trials. In 2011 Vagner made his UFC debut against top lightweight contender Donald Cerrone. In his second bout he defeated Ultimate Fighter alumni Cody McKenzie by rear naked choke. Vagner went on to fight several times in the UFC as well as being Fight Time Promotions only lightweight champion, holding the title for 6 years. Vagner has continued to actively compete in the surging professional grappling circuits having won matches in the Eddie Bravo Invitational, Submission Underground, Fight to Win Pro. Vagner is also the inaugural Combat Jiu Jitsu Worlds Lightweight Champion which combines elite grapplers with open palm striking. In 2017 Vagner was the ADCC Bronze Medalist, the most prestigious and elite no gi grappling event in the world. Master Rocha is married and a father of two. 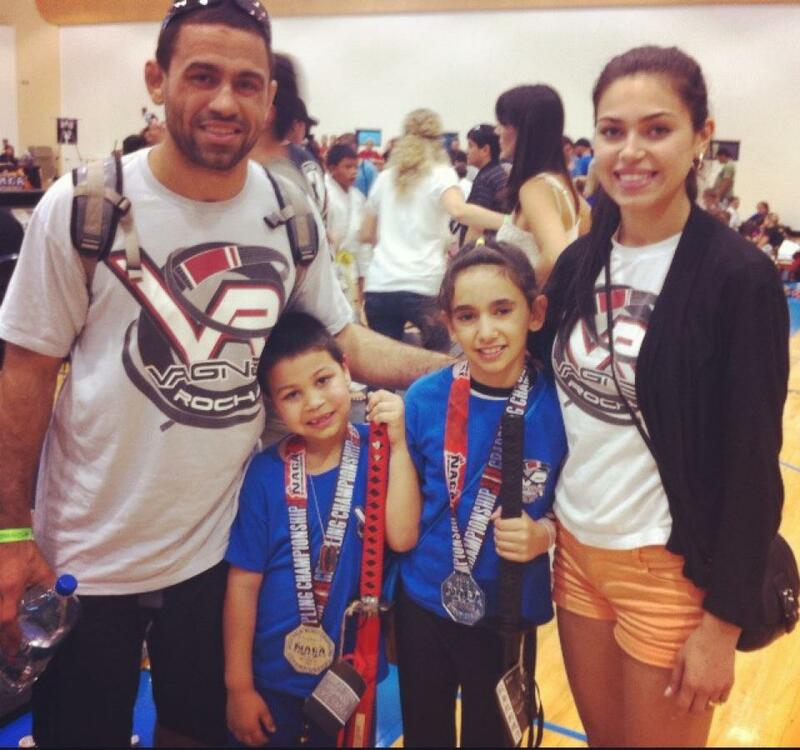 His wife, son and daughter also practice Brazilian Jiu Jitsu and they are always supporting him in his grappling and MMA career. Additionally, both of Vagner’s children are accomplished competitors in their own right having won multiple IBJJF grappling championships between them. Vagner makes sure every student receives the individual attention needed to constantly improve to the next phase of training. He attends every class and has a hands on approach, monitoring every student’s progress and growth. The curriculum can cater to not just to competitors, but also to men, women and children who need to get in shape, learn self defense and gain confidence in their ability and sense of self.